But one of the biggest advantages is that you can still run your dog without letting them off the lead! My three dogs, a Rhodesian Ridgeback Cross called Red and two Staffordshire Bull Terriers called Sidney and Winston, are all rescue dogs. 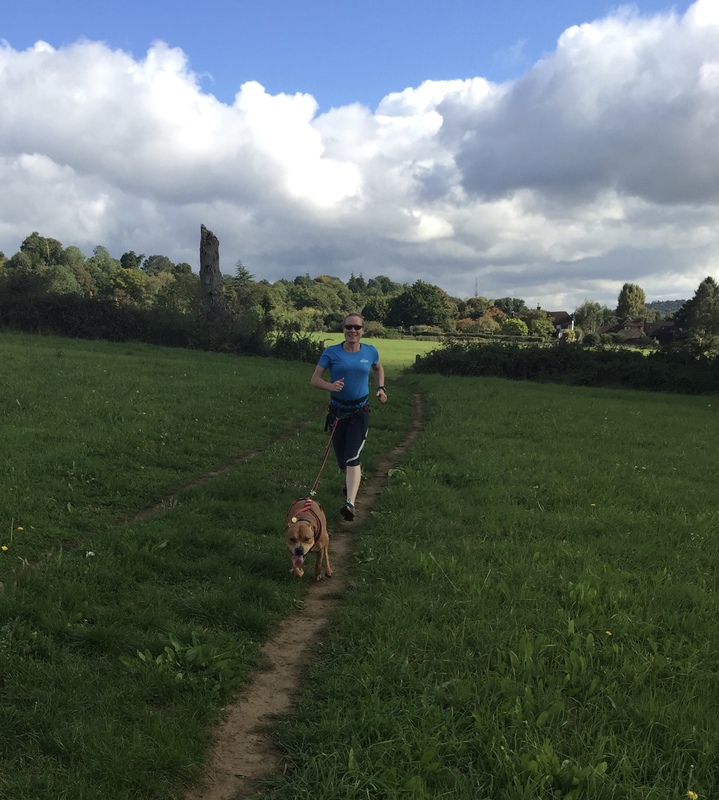 Canicross has most definitely come to my rescue…not only has it meant that my dogs can still enjoy a good run and burn off some energy but it has saved my arms from three determined, strong pulling dogs! Many of our customers come to us with rescue dogs or dogs that simply cannot be let off the lead for whatever reason. These dogs have never had the chance to enjoy a proper run. 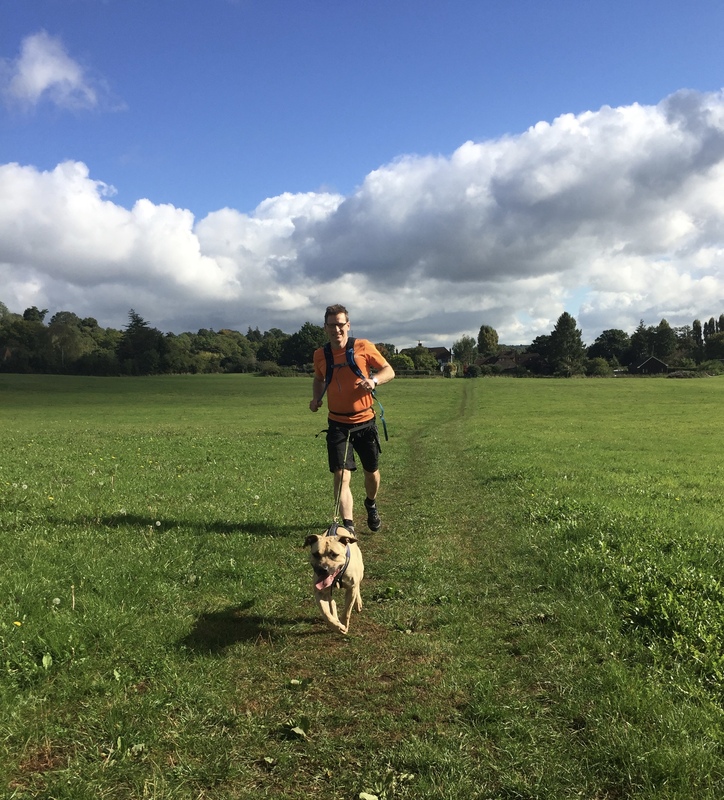 However, since discovering canicross our customers have never looked back as it has been such a positive change in both their lives and those of their dogs’. 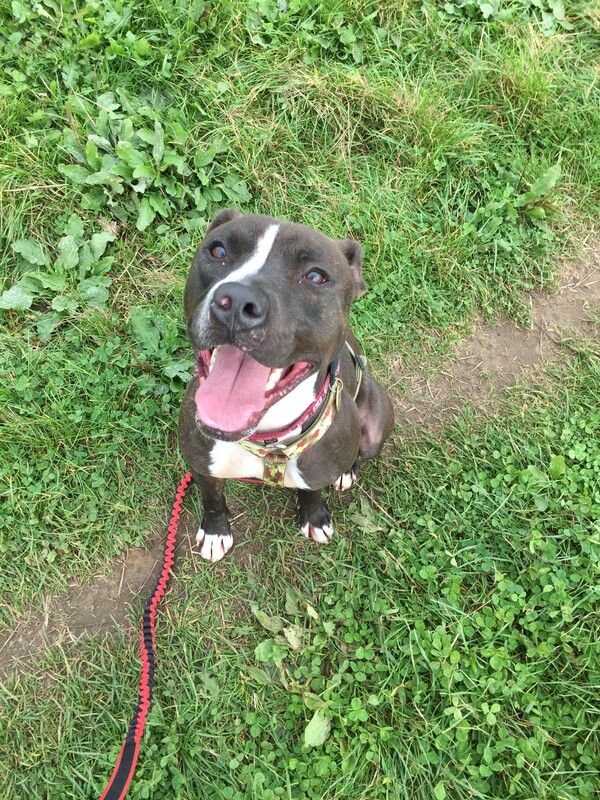 Some have literally been in tears to see their dog smiling and having so much fun! So we know canicross helps our own dogs, but what if we can also help other dogs in less fortunate positions? 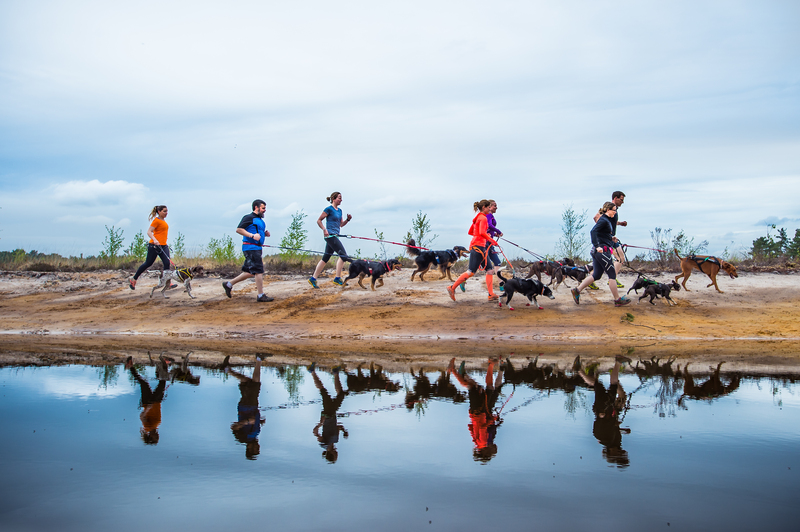 At DogFit it is our mission to bring the fitness and well-being benefits of canicross to as many people and their dogs as possible….so it shouldn’t stop at our own clients! What about all those dogs waiting patiently in rescue centres – those dogs who rely on limited lead walks a week and don’t get anywhere near the amount of exercise our own dogs get? 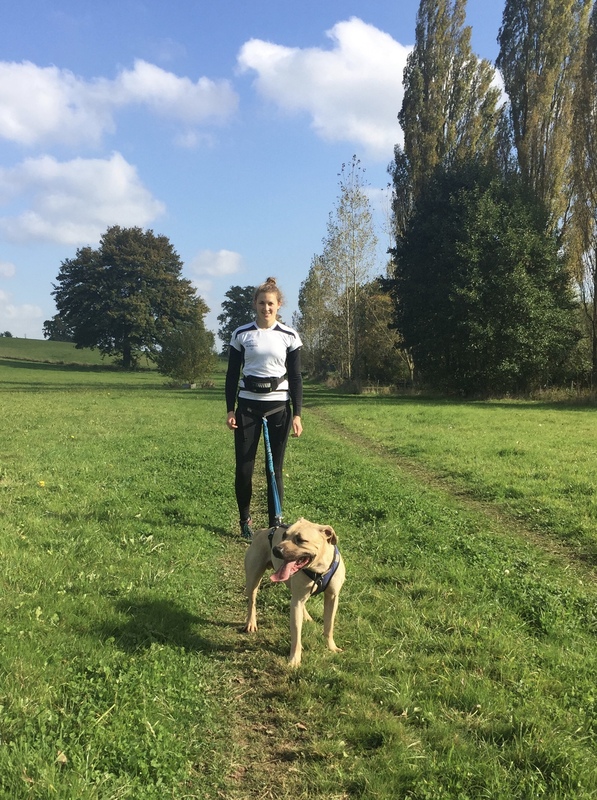 This is just a small step but we have started supporting our local rescue, Rescue Remedies, by taking some of their dogs out for a canicross run. 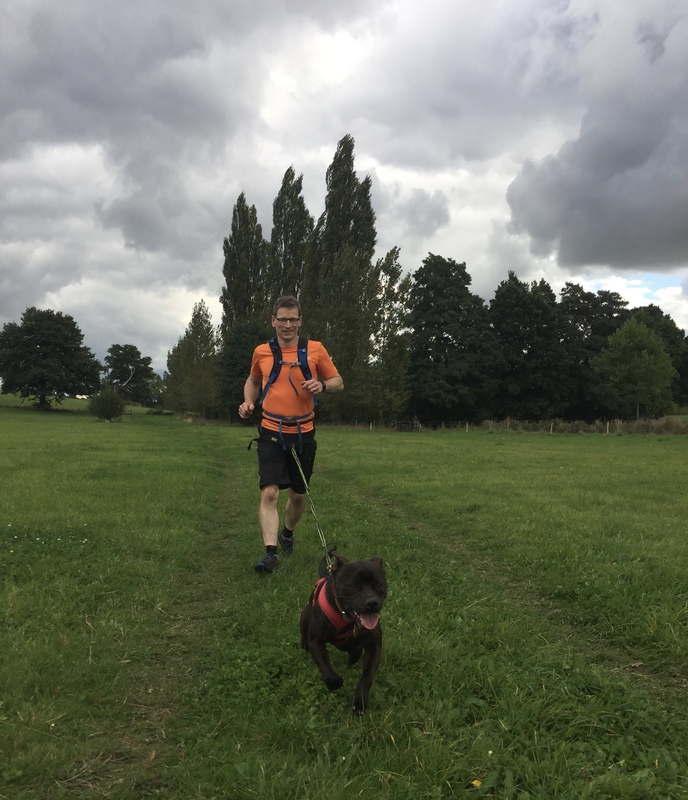 A walk is great of course but to be able to give a dog a good run – especially the younger, more active ones – is a brilliant way to help them expend some energy and allow them to simply enjoy the feeling of running, something they wouldn’t ordinarily get to do. Interspersed with walks to build up their running stamina and plenty of cuddles (this is just as important as they are deprived of human contact much of the time) means these dogs get just a taste of what our own dogs get on a regular basis. Bruce on his first canicross outing! 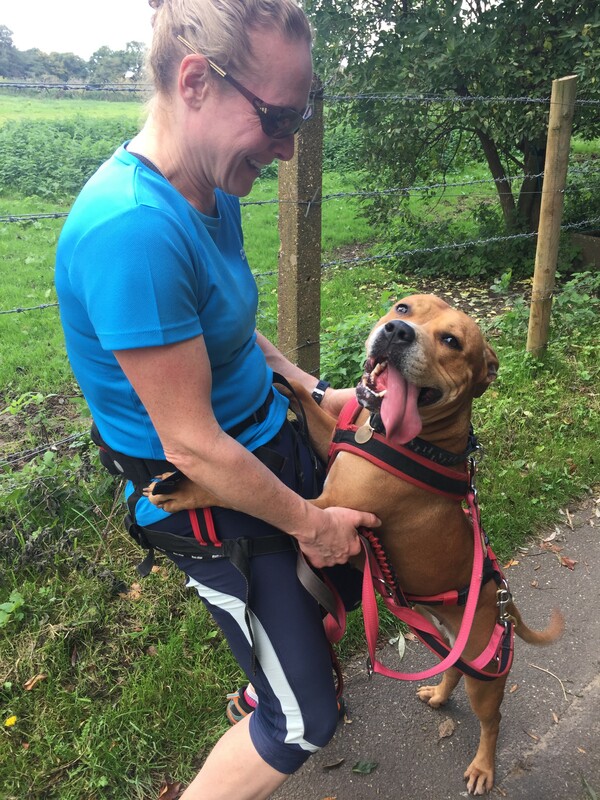 There’s always time for cuddles on our runs! Established in 2006, Rescue Remedies is a very small, nonprofit, internet based rescue. They mainly cover the South East of England and rely completely on just a few dedicated volunteers – they don’t have any paid staff or a call centre. With nothing in the bank, they take on dogs first and work out how to pay later, living from month to month in hope. They take on around 80-90 dogs at any one time and are renowned for coming forward for the dogs which would ordinarily have difficulty finding homes. What’s more, they don’t discriminate on the basis of breed, age or health.